We enjoy underwater photography as do many of the divers that go out with us. 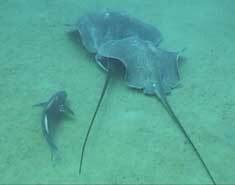 These are low resolution photos to move over the net well and are just to give you a good idea of just what you might see diving in Hatteras. 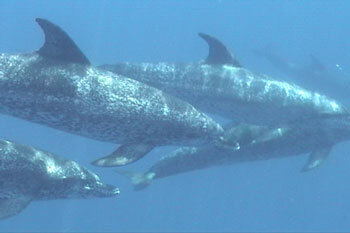 We get to see dolphins many times during the season. Big Cobias are frequent visitor to the wrecks. 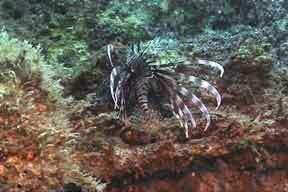 The invasive Lionfish is now on most of the wreck sites and very abundant way offshore. 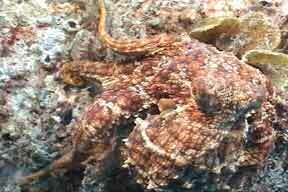 Octopus are really everywhere on the wrecks, you just have to know how to look for them. 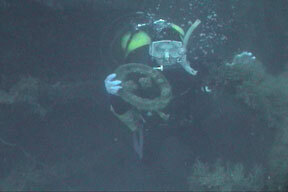 Sea Turtles can be found on all the wreck sites. The most common are the Loggerhead like this one. 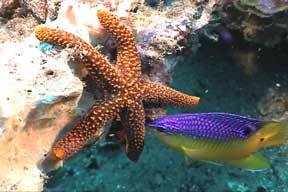 Tropical sea life abounds. It is sometimes just like divin gon the reef, only more exciting. 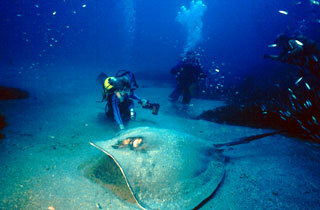 Big Southern Stingrays are common sites. This mating pair are about 8 feet or so across the wings. 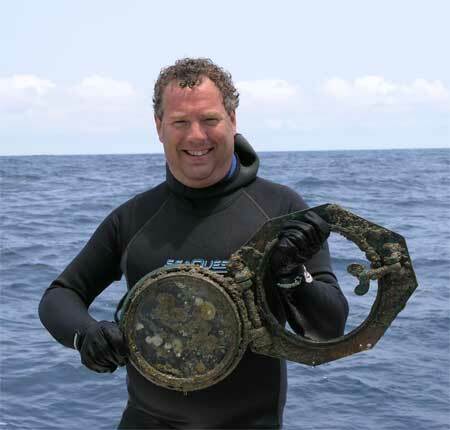 Diver Cliff Cason got this nice porthole from the wreck of the Catherine Monahan. Ann approaches one of the large Southern Rays at the Dixie Arrow. Show respect or end up like a croc hunter. Captain Dave swims along with a large Loggerhead turtle at the Dixie Arrow wreck. A big female Sandtiger Shark swims past Captain Dave and the stern of the Dixie Arrow. 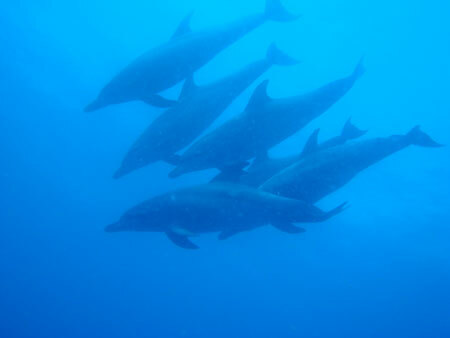 Diver Eric Koehler took this photo of Atlantic Spotted Dolphins in July of 2010 as they checked him out while doing his deco under the boat. A herd of Sandtiger sharks swim above the divers. 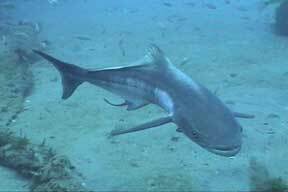 This is a common site at the Proteus and other offshore sites. 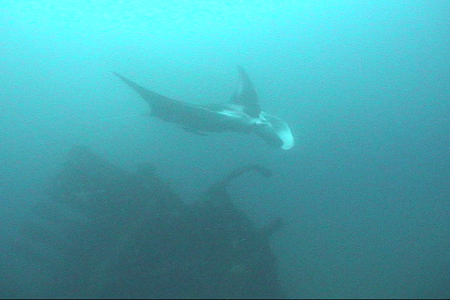 A large Atlantic Manta Ray swims over the stern of the Australia shipwreck. 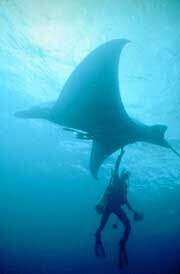 Manta Rays are seen fairly often and they can be up to 15 or more feet across their wingtips.